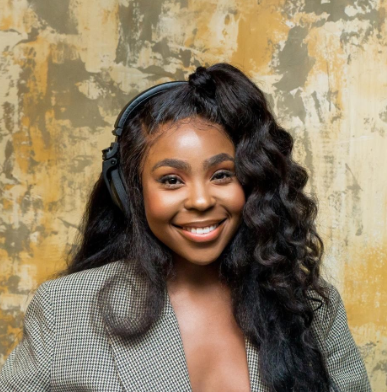 A social media manager consultant by day and a fierce entrepreneur by night, Mercedes Benson’s profile is on the rise thanks to her multifaceted, creative approach to her work. From launching her own self titled style blog ‘mercedesfbenson’ which acts as a platform to showcase her edgy streetwear style, to becoming a self taught DJ, alongside establishing a new unique music platform ‘FutureSNDS’, which celebrates new talent within the UK – Mercedes is definitely one to watch on the social media scene. Heavily influenced by fashion and music, Mercedes started out working in PR at Puma and then moved onto Adidas, where she honed her passion for ‘connecting the dots’ and cemented her role as an influencer. Often brought on board to consult for brands and projects, Mercedes Benson, now has a voice of authority. Her natural flare for knowing what’s hot before it trends is what sets her apart. Fast forward 4 years and Mercedes continues to connect the dots by identifying new trends across the industry. She has mastered the art of juggling the fast paced realms of social media, curating cult, mind blowing music events, whilst remaining ‘cozy’ in her unique love of streetwear. Mercedes F Benson is the official renaissance girl… all under the age of 30.